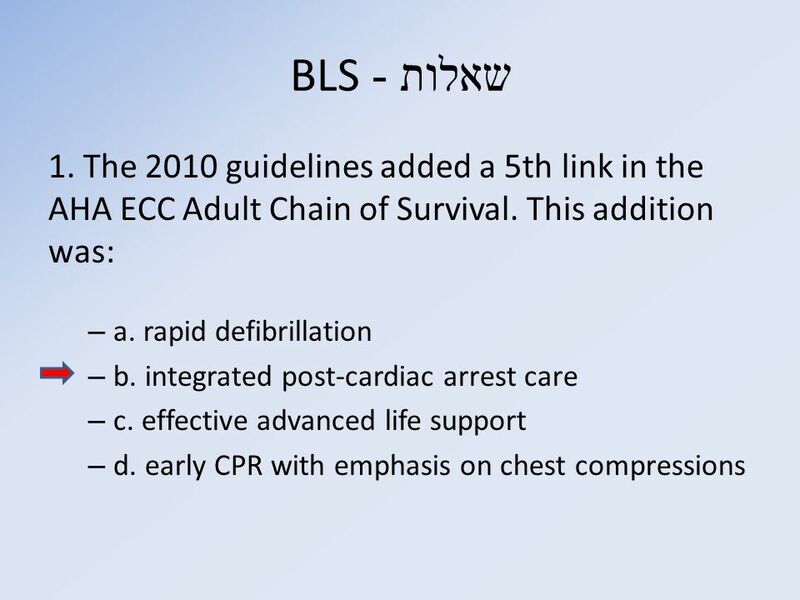 Jul 20, - According to the American Heart Association (AHA), the 5 links in the adult out-of-hospital Chain of Survival are: Recognition of cardiac arrest and activation of the emergency response system. Early cardiopulmonary resuscitation (CPR) with an emphasis on chest compressions. Rapid defibrillation. The links within this Chain of Survival include: Early Access to the emergency response system. Early CPR to support circulation to the heart and brain until normal heart activity is restored; Early Defibrillation to treat cardiac arrest caused by Ventricular Fibrillation; and.